Observing hundreds and hundreds of dogs every year keeps the OneMind Dogs Coaches actively searching for things that could be done better to increase the understanding between humans and their dogs. Front Cross is one of the handling techniques that we teach to our students a bit differently today, than we did five years ago! All of the OneMind Dogs handling techniques have been designed with that big picture in mind. 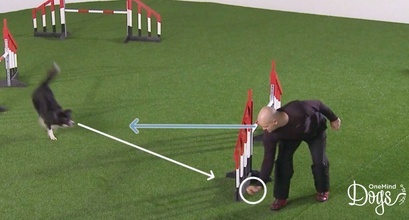 The handling techniques are combinations of the seven handling elements, and each handling element serves a purpose in each technique. The handling techniques together with our main concepts are pieces of a puzzle that form a seamless big picture for the OneMind Dogs method. If you swap one part, it affects to some other part. 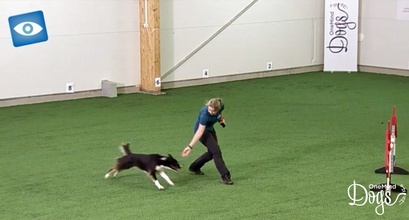 The goal of our method is to offer an easy way for the dog and the human to understand each other. That is why taking care of the method as a whole, as a bigger picture, is so close to our hearts! What’s new on the Front Cross video? We’ve added some new video clips, and updated the texts in the elements section. There are more examples of different kinds of Front Crosses. Start the short course about Front Cross, watch the new version of the Introduction to Front Cross video and learn to apply the technique as a part of a sequence!